Lentils are a wonderful source of folate, an essential immune enhancing nutrients as well as a key nutrient for your baby’s brain and spinal cord development. A Great source of magnesium – an alkalizing, hydrating nutrient that helps relax your nervous system by aiding in the production of serotonin. Lentils energize you by replenishing your iron supply, which is especially useful for menstruating, pregnant and lactating women. 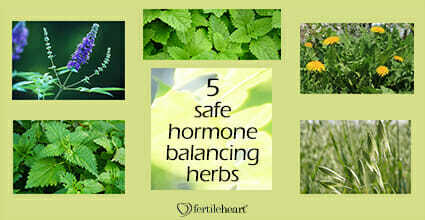 They have a hormone balancing effect by stabilizing blood sugar levels. There are many types of lentils: brown, red, french, regular. (Health food stores and specialty food shops and larger groceries usually have a variety.) I prefer French, also called green lentils. They are smaller and firmer and maintain their shape. You should experiment with different types of lentils to see which you prefer. The cooking method is the same, except the time needed to cook will vary slightly. Add half the Garlic when Onions become translucent. Wash the Lentils and add to the Onions and Garlic, stir well and then add the Water. Add Carrots, Sweet Potatoes, Salt, Paprika and Rosemary. Bring to a boil, then lower heat and simmer approximately 90 minutes. 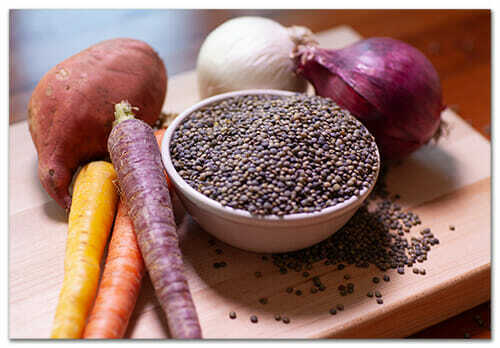 Using a wire whisk will do a better job of blending the Lentils and Sweet Potatoes, making for a more creamy texture. Finish with Soy Sauce to taste. I like using salt during the cooking process, seasoning just under the desired saltiness and then finish with Soy Sauce before serving.